Another neighborhood sushi favorite. 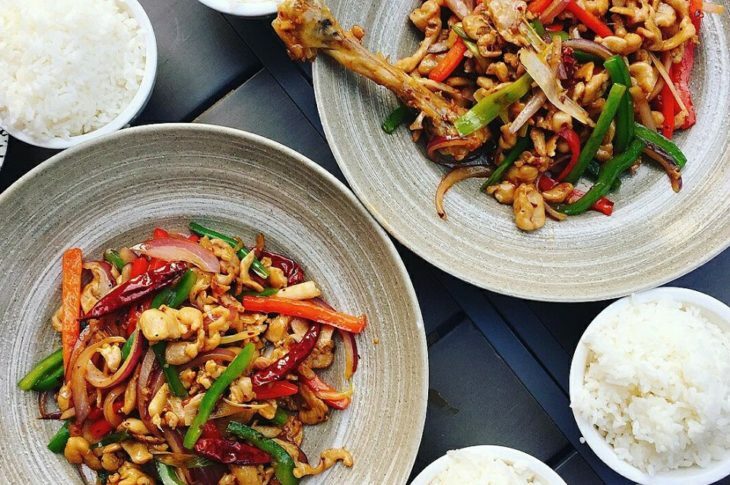 Fuji at Ink Block is the 10th restaurant to open from the Fuji Group. 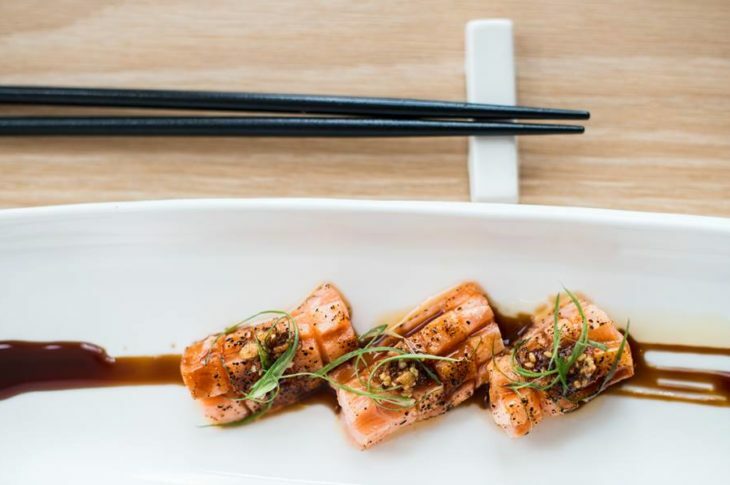 Nestled in the Ink Block, a new destination in the South End know for its glitzy new apartments, and a string of popular restaurants, Fuji offers us a contemporary Japanese menu conceived by the classically trained masters. The Fuji at Ink Block menu offers several dining options from à la carte to Omakase and even shareable sized plates. 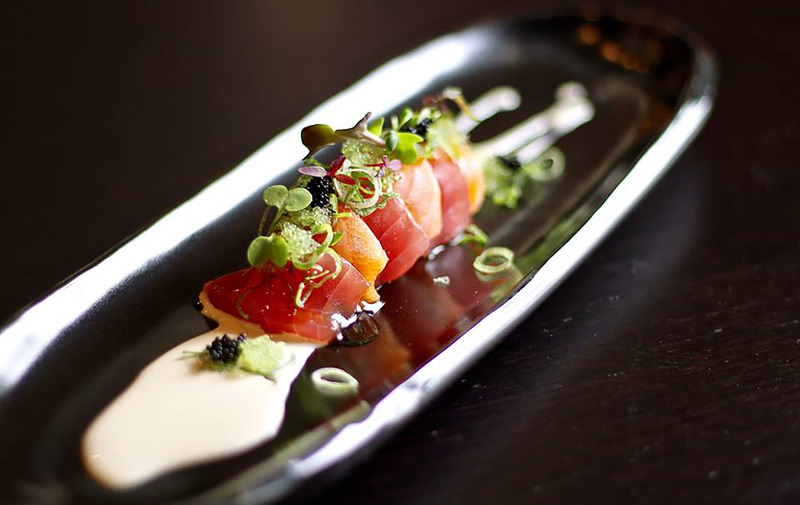 Indulge in familiar sushi classics, inventive rolls, explosive stir-fry the tasting menu. The wok fried lobster is incredible, if you are looking for your lobster fix, this is the dish for you. The restaurant’s setting brings glamour & sophistication to modern and comfortable space. Diners have the option of sitting in the dining room with green velvet accents, which create an inviting and comfortable experience or the large bar area for a more relaxed bite. Speaking of the bar select from delicious house made cocktail creations or sake.